Benson holds a Bachelor of Architecture Degree from the Jomo Kenyatta University of Technology; is a member of Architectural Association of Kenya – Architects and Construction Project Management Chapters; a registered architect with the Board of Registration of Architects and Quantity Surveyors; and a member of the Institute of Data Processing Management – London. He has sat on the Board of the Commonwealth Association of Architects Validation Team that monitors university curriculum for commonwealth accreditation. Benson has extensive experience in architecture and interior design with successful stints at Ambience Interior Designs, Emms Architects and Design Arch-International prior to forming AIA. His track record includes projects in Hospitality, Executive Offices, Luxury Apartments, Commercial Office Blocks, Business Parks, Churches, Educational Institutions, Private Residences, Port Facilities and a Shopping Mall. It is however, the formidable link between architecture and enterprise that makes Benson stand apart from his peers. 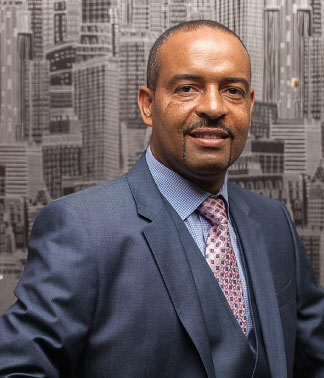 Benson is a serial entrepreneur and founder of several companies where he is Chairman including Savannah Cement, Tron Logistics, Tran-Africa Power. This unique positioning of companies in interlinked sectors – design and build consultancy, building materials factory and a power plant allows for leveraging and value addition within the group. He enjoys conceptualizing, designing and executing the formation of ideas from scratch, into complex and profitable entities. Away from business, Benson sits on the board of SOS Children’s Village overseeing the 5 Villages in Kenya providing childcare to over thousand children as well as catering for the educational needs of over 15,000 children to ensure that they have a chance at life. Benson is into photography; loves music; he is an avid lawn tennis player and golfer with a passion for rock climbing. He attributes many subliminal lessons he has learned in life to these outdoors activities.